I almost called this post "stepping off the cliff" but didn't want to unduly alarm anyone as I realized that is a possibility around here, one I intend to forgo. 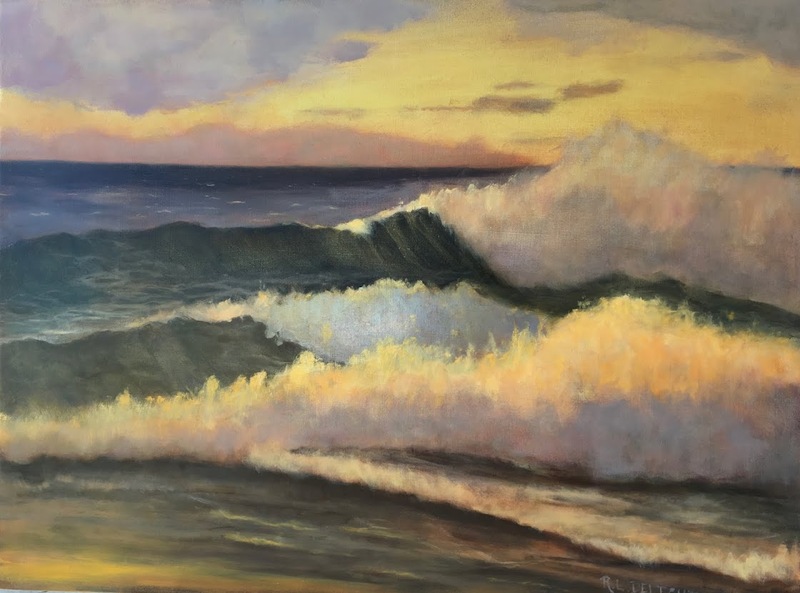 This painting was actually a wave study I did after Wave Study #40. It probably should have been #41 but I wasn't happy with the first attempt so I put it aside. 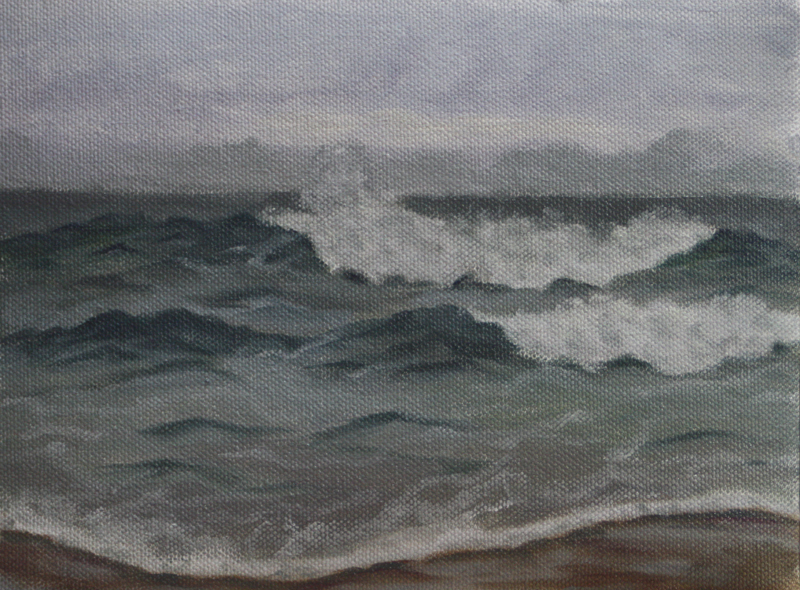 Today, due to tides and scheduling, I worked in the studio and I decided to take this study and play around with it. Looking back I should have taken a before and after picture but I unintentionally neglected to do so. I asked a whole host of what ifs and tried them out on the painting. Some had to be removed or worked over and some stayed. I played with brush technique, color, value, edges, and color temperature. I had a very relaxed and enjoyable time as I wasn't concerned about the outcome of the study. The study is just, is what it is. The bones of the painting, or the drawing, is about all that remained the same. I like the idea that there is no failure, only things to be learned. I have another of these studies, actually two more, that I have kept with which I will do the same. Next time I will remember to take a before and after photo. I learned a lot from doing this exercise. The tides will be giving me some good opportunities to paint in the coming week. I am still working on some longer paintings that I will eventually be sharing the progress on. Today was a cold, rainy, and dark as the painting above looks. Hopefully the weather will be kind while I am out painting this week. And for some reason, I prefer this study over the actual numbered 41. And please, don't step off of any cliffs, small or large! Glad you had a great day just playing. We learn so much when just allow ourselves to have that unencumbered by______ time. Wave Study #43 and the Reason Behind the Madness.